Prime Minister Narendra Modi has unveiled a 64 feet tall statue of peasant leader Sir Chhotu Ram at his native village Sampla in Rohtak district of Haryana. The statue has been sculpted by renowned sculptor and Padma Bhushan-recipient Ram Vanji Sutar. Around 5,500 farmers from Haryana had donated iron metal, ranging from from half-a-kg to two kgs for construction of the statue. Born on November 24, 1881 as Ram Richpal in Garhi-Sampla, Rohtak in then Punjab, British India (now in Haryana) and died on 9 January 1945 (aged 63) in Lahore, then Punjab, British India (now in Pakistan). He is regarded as the messiah of peasants and was instrumental in empowering farmers in pre-Independence era and getting pro-farmers law enacted. He had fought for farmers' rights during the British rule. He was the ideologue of peasants of pre-Independent India and championed the interest and cause of oppressed peasants of the Indian Sub-continent. For this feat, he was knighted (given title of Sir) in 1937. On political front, he was co-founder of National Unionist Party (Zamindara League) which ruled United Panjab Province in pre Independent India and and kept Congress and Muslim League away from power. He was popularly known as Deen Bandhu (in Urdu as Rahbare Azam, which translates as messiah of poor). Q. 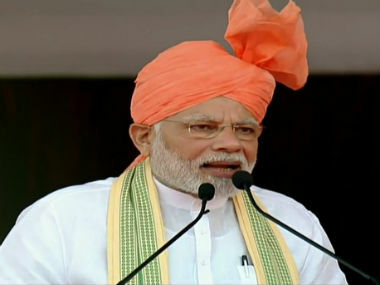 Prime Minister Narendra Modi has unveiled a 64 feet tall statue of which peasant leader at his native village Sampla in Rohtak district of Haryana?